Statements like the ones above epitomize the types of comments meat eaters make that bewilder vegetarians. It truly is perplexing: a butcher wouldn’t be able to carry on with his work if he really thought about what he was doing, and a rational adult male is affectionate toward one species but eats another and has no idea why. Before being asked to reflect on their behaviors, neither of them thought there was anything at all odd about the way they relate to the animals that become their food, and after such reflection their awareness “wore off” within hours. So the butcher kept the unpleasant reality of his job at bay and continued to process animals, while the meat eater suppressed his mental paradox and continued to eat them. It is no wonder that vegetarians find the mentality of meat confounding. grocery stores and restaurants offer plentiful vegetarian options and that there’s a wide variety of cookbooks and vegetarian starter kits that offer guidelines for transitioning to a plantbased diet, the intellectual meat eater says it would be too complicated to stop eating meat. After hearing about the suffering of farmed animals, the sensitive meat eater expresses heartfelt sympathy only to end up at the Burger King drive-through later that day because she can’t break the habit of eating animals. And after eating yet another delicious faux meat meal that he claims is so much like the real thing he couldn’t tell the difference, the meat eater says he “could never” become vegetarian because he likes meat too much. The same people who find it impossible to stop eating meat may have raised a family on their own, survived a life-threatening illness, worked their way through a lifetime of schooling, lived through a major trauma, won a Nobel prize, or accomplished any number of feats that surely require more effort and sacrifice than becoming vegetarian. Understandably, the mixed messages meat eaters send can cause vegetarians to feel exasperated and frustrated. 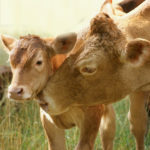 Yet, rather than question a meat eater’s mentality, which would lead to greater understanding, vegetarians often question the meat eater’s character, which leads to further tension and confusion – at best, the meat eater is viewed as selfish and lazy, someone who puts his or her own comfort and convenience above the lives of other animals and the preservation of the planet. But while it makes sense that vegetarians would draw such conclusions, these assumptions are arguably as illogical as those posited by meat eaters. Many meat eaters are also loving fathers, mothers, and friends; they are fearless rescue-workers, dedicated teachers, impassioned activists, tireless community leaders, kindhearted philanthropists, compassionate animal caretakers, devoted partners, and great humanitarians. that it enables humane, rational people to engage in inhumane, irrational behavior, without even realizing what they’re doing. So, vegetarians would do well to focus on meat eaters’ mentality rather than their morality and approach conversations with curiosity rather than resentment. Approaching meat eating with curiosity can lead vegetarians to ask the questions that will help them more effectively relate and advocate to meat eaters: How can compassionate individuals put the body parts of dead beings into their mouths and find the experience pleasurable rather than repulsive? How can a nation of critical consumers who may brood over which brand of jeans to purchase leave their food choices so unexamined—choices that drive an industry that kills 10 billion animals per year? How do people not see the contradictions that are right in front of them? Vegetarians—and even a number of meat eaters—understand why people shouldn’t eat meat, but few people understand why they do eat meat and it is this latter point that must be addressed in order to have more productive conversations about meat consumption. The answers to the above questions make sense only through the lens of ideology. An ideology is a social belief system that shapes people’s beliefs, feelings, and behaviors. A dominant ideology is the belief system of a dominant (power-holding) social group – for example whites, males, or the economically advantaged – and it is so socially entrenched that its influence is largely invisible. Dominant ideologies construct our reality; they shape the lens through which we see the world by promoting beliefs, attitudes, practices, laws, values, and social norms as universal truths rather than a set of opinions that reflect and reinforce the interests of the power-holding group. Dominant ideologies whose tenets (beliefs and practices) run counter to the deeper values of most individuals must actively work to ensure the participation of the populace. Without popular support, the system would collapse. These ideologies rely on specific strategies, or defenses, to hide the contradictions between people’s values and behaviors, allowing individuals to make exceptions to what they would normally consider ethical. Such ideologies exist on both social and individual levels; their defenses operate externally (shaping social institutions and norms) and internally (shaping our mentality). External defenses maintain a social structure that forces people to conform to the norm by rewarding those who do (e.g., making them feel socially accepted) and punishing those who deviate (e.g., making them feel deficient and ostracized). Internal defenses maintain the mentality that supports social norms, and these defenses are triggered any time information is presented that threatens the ideology. Internal defenses aren’t logical responses; they’re automatic reactions that block or distort information that may expose the ideology. The primary defense of a dominant, “unethical” ideology is invisibility and the primary way the ideology stays invisible is by remaining unnamed. If we don’t name it, we won’t see it, and if we don’t see it, we can’t talk about it. Invisibility protects the ideology from scrutiny and thus from being challenged. This is one reason that only non-dominant ideologies are named, at least initially; for instance, while there has long been a name for the ideology of those who don’t eat meat, vegetarianism, the dominant, meat eating ideology hasn’t been named until recently. By failing to name the system that is carnism, eating meat is seen as a given rather than a choice, and the assumptions driving meat consumption remain unexamined. This lack of awareness is why people eat pigs but not dogs and have no idea why. Carnism is a system that is organized around intensive and unnecessary animal suffering. Because most people don’t want to cause animals to suffer, let alone know that they’ve participated in such suffering, the system must prevent them from connecting the dots, psychologically and emotionally. The carnistic system is set up to block awareness, in order to block empathy and its sister emotion, disgust. When a person sits down to a hamburger, for instance, she isn’t aware, or thinking, of the living animal she’s eating. She therefore isn’t feeling empathy for the suffering of the being that became her food and she finds the meat appetizing rather than disgusting. But this same (American) diner doesn’t have years of carnistic conditioning when it comes to eating dogs. Were she to sit down to an identical burger, but made of dog flesh rather than beef, she would be acutely aware of the animal from whom the meat was procured and she would likely be too disgusted to eat it. Carnism enables people to eat the meat of a select group of animals by employing a specific set of defenses that operate on a collective as well as an individual level. These defenses include, but aren’t limited to, denial (“Animals raised for meat don’t really suffer much”), avoidance (“Don’t tell me that; you’ll ruin my meal”), dichotomization (“Dogs are for loving and pigs are for eating”), dissociation (“If I think about the animal that became my meat I’ll be too disgusted to eat it”), and justification (“It’s okay to eat certain animals because they’re bred for that purpose”). Carnistic defenses are intensive, extensive, and are woven into the very fabric of our society and our minds. MODEL THE QUALITIES YOU’RE ASKING FOR: curiosity, compassion, empathy, respect, and a willingness to truly listen and self-reflect. The more defensive you are, the more you’ll trigger defenses in your audience. RELATE TO CARNISTS AS PEOPLE, RATHER THAN AS MEAT EATERS. No matter how much you don’t respect their choice to eat animals, it’s essential to respect carnists’ humanity. SIMILARLY , REMEMBER THAT CARNISTS ARE INDIVIDUALS, many of whom have more in common with you than they do with each other. Don’t lump them into a group and project stereotypes onto them. perspective, strive toward having a respectful, mutually enlightening dialogue. No matter how strongly you feel about promoting vegetarianism, the more you strive to “convert” your listener, the less likely it is that you will achieve this end. RECOGNIZE THAT THE FACTS DON’T SELL THE IDEOLOGY . The only reason a person would choose to eat a hamburger over an identical veggie burger is because of what meat represents, rather than what it actually is. Knowing this will help you feel less frustrated with resistant carnists. DON’T LET DEFENSIVE CARNISTS DISRESPECT YOU. Some carnists attack vegetarians as a way of defending their meat eating. You should never let people judge you as being extremist, hypocritical, picky, hypersensitive, etc. } Create an empowering environment . Empowerment is the feeling of being connected to your personal power, and empowered people are much more likely make positive changes. The opposite of empowerment is shame, and shame results from feeling judged. To empower others, treat them as though they are fundamentally worthy – speak from your heart with the objective of sharing your truth and detach yourself from the outcome of the conversation.
. This statement does not refer to those who are geographically or economically unable to choose whether to eat meat.